Last week, we learned how to make a trio of cute DIYs, and this week's Fashion School edition of Make it with Mod Podge brings us a super stylin' pair of boot cuffs! Last season's boots are new again with this easy (and no sew!) design trick. and the Mod Melt gives such a special, designer detail! This belt adds instant pizazz to any outfit! Don't forget to top it off with this fun boho headband! Did you miss the first edition of Fashion School? 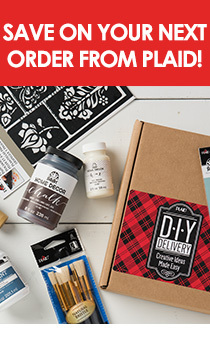 Watch it now, and and subscribe to our YouTube channel for new Make it with Mod Podge videos the first three Fridays of every month!